With a name like Siesta Key, you might think this Florida island is a real snorer. But there's a wealth of shopping and dining options, as well as opportunities for outdoor adventures like snorkeling, kayaking, and fly fishing. Meanwhile, Siesta Key's white-sand beaches regularly rank among the country's best, and its turquoise waters make an excellent backdrop to any beach wedding. If you're feeling more fiesta than siesta, you can spend your evenings at a tiki bar for drinks and live music. History buff? You're in luck – your Siesta Key vacation rental is the perfect base for travelling back in time. Siesta Key is in Sarasota County, whose past is filled with colourful stories and characters. You can start your time travel at Marie Selby Botanical Gardens, named after a much-admired Floridian woman who loved the great outdoors. Then you can head on to the Bidwell-Wood House – it's the oldest house in Sarasota, and was the site of a murder fit for an Agatha Christie plot. After that, check out the Ringling Estate, home to a massive collection of European art. If you're hoping to enjoy some warm-weather activities on your vacation, August, July, June and September are the hottest months to visit, when temperatures average 91°F. The nearest airport is in Sarasota, FL (SRQ-Sarasota-Bradenton Intl. ), located 7.8 mi (12.5 km) from the city center. If you can't find a flight that's convenient for your trip, you could also fly into St. Petersburg, FL (PIE-St. Petersburg-Clearwater Intl. ), which is 44.3 mi (71.3 km) away. When you get an attack of the munchies and you don't feel like cooking at your vacation rental, all you need to do is to make your way to Siesta Key Village, the island's main commercial hub. On the way there, you'll pass by a lot of restaurants ranging from the casual to the upscale, and offering a variety of world cuisines. With so many options, you can easily find the means to satisfy your craving. Seafood is a staple in Siesta Key, and the oysters are especially popular during the cooler months. Siesta Key is a barrier island facing the Golf of Mexico off the southwestern coast of Florida. It has a total area of 9 square kilometres – 6.1 square kilometres are land, while water makes up the remaining portion. Siesta Key has 3 main beaches, namely Siesta Beach, Turtle Beach, and Crescent Beach. Nearly 9,000 people live on this island, and most of them speak English as their first language. As a US town, the currency used here is the US dollar, and 911 is the number to call in emergencies. Where to stay near Siesta Key? 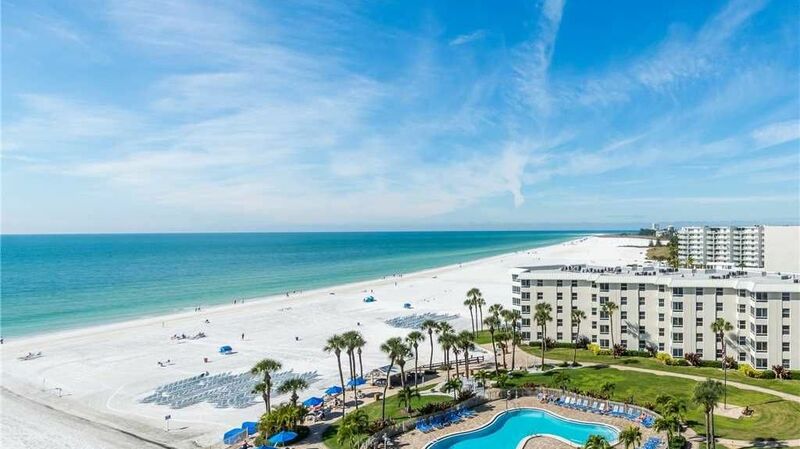 Our 2019 vacation rental listings offer a large selection of 4,100 house rentals near Siesta Key. From 1,170 Houses to 2,274 Condos/Apartments, find unique vacation rental for you to enjoy a memorable holiday or a weekend with your family and friends. The best place to stay near Siesta Key is on HomeAway. What are the popular points of interest near where I can stay when travelling to Siesta Key? But there are many other points of interest around Siesta Key listed on HomeAway where you can find your place to stay. Please use our search bar to access the selection of vacation rentals available near the point of interest of your choice. Can I rent Houses in Siesta Key? Can I find a vacation rental with pool in Siesta Key? Yes, you can select your preferred vacation rental with pool among our 3,108 vacation homes with pool available in Siesta Key.